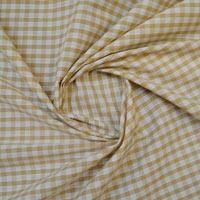 Gingham is a medium weight fabric that features a distinctive check pattern. 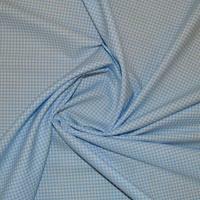 Gingham, a woven Check Fabric which means that the check pattern is shown on both sides of the fabric. 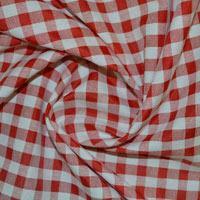 Popular for all types of dressmaking and craft projects, Gingham is probably one of our most popular fabrics. 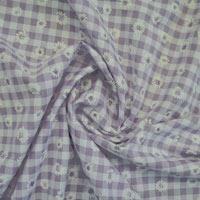 Gingham is a popular fabric for school uniforms and summer clothing such as skirts and shirts. As it is light and cool and comfortable against the skin, it is the perfect material to keep an active child cool in the school playground. 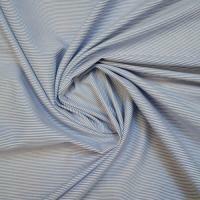 Gingham is an easy care Check Fabric which will ensure school uniforms will remain presentable the whole term through. 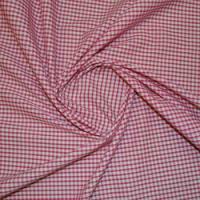 Gingham is a fresh, young looking Dressmaking Fabric which is perfect for not only school uniforms but children’s casual clothing, baby clothes and adult summer wear such as shirts and blouses. 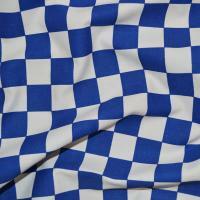 Gingham Fabrics are also a popular fabric for homeware and is perfect for country themed kitchen projects such as aprons, tablecloths and tea cosies. Cheerful Gingham co-ordinates will be sure to freshen up your kitchen and can even be used for lightweight kitchen curtains. Over the last few years Gingham Check Fabric has also become popular for bunting and is a must for any vintage themed wedding.